Training: Training is a systematic instructional means to develop knowledge, skills and attitude for adults in order to keep pace with the changes in life. It is the process by which individuals are helped to acquire certain specific skills related to a given set of operations in certain specified contexts only. Training Needs Assessment (TNA): Assessment / evaluation of training can be defined as a process by which the desired behavioural changes (in knowledge, skills and attitudes) due to training are measured against set of objectives/ standards. The assessment can be conducted by training institution, participants (trainees) and participating institution (sponsoring agency). The literature of training needs assessment has traditionally focused on the development of better techniques and method for improving the quality of information collected about organizational tasks and person analyses. 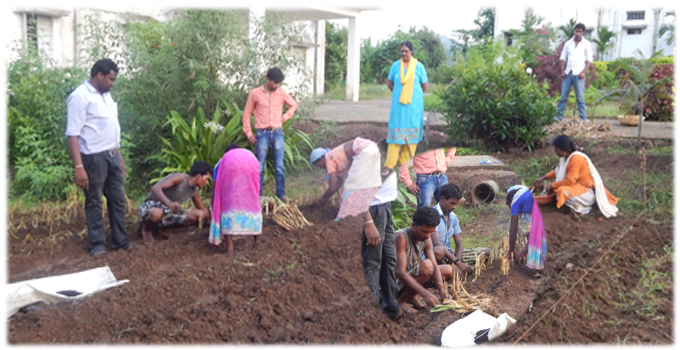 Training for Extension Personnel: It can be defined as a planned and systematic effort to increase Knowledge, improve Skill, inculcate appropriate Attitudes and develop other attributes in extension personnel to enable them to better serve their clients-the farmers.